“Telehealth is the overarching term that encompasses all uses of technology geared to the remote delivery of health information or education,” the Veterinary Team stated in its November/December 2017 brief. Telemedicine, a subcategory of telehealth, refers to direct communication between veterinarians and clients via phone, email or video conferencing technologies. Recent technologies have propelled this old concept forward. A growing number of consumers not only prefer healthcare providers that offer telemedicine services, but consider it a necessity. Due to increased use and awareness, demand for telemedicine within the veterinary industry is rising. Telemedicine is a useful tool to improve existing veterinarian-client-patient relationships (VCPR) and document patient health. Even so, veterinarians must acknowledge its limitations such as inaccuracy in telemedicine exams. Teleconsultations, defined as “veterinarian-to-veterinarian communications on diagnostic interpretation, interventional therapy or treatment planning,” are becoming more prevalent within veterinary medicine. Through this method, veterinary specialists review and interpret medical records produced by the primary care veterinarian (PCV) and offer professional recommendations to the PVC remotely. This provides clients and patients with greater access to veterinary specialists regardless of geographic location. For example, veterinarians who maintain a working relationship with a teleconsulting veterinary nutrition specialist can deliver expert care to patients having specialized nutrition needs. Depending on location, a PCV’s clients may have the ability to attend in-person appointments with a teleconsulting provider after a trusting relationship is formed via the PCV. Currently a niche market, the popularity of wearable technologies is predicted to grow. Not only will more consumers purchase collars with cameras and GPS trackers, animal guardians will see electronic collars that monitor an animal’s activity levels, body temperature, heart rate, food intake, and other measurements as a necessity. These devices transmit and store data through an app and web portal. 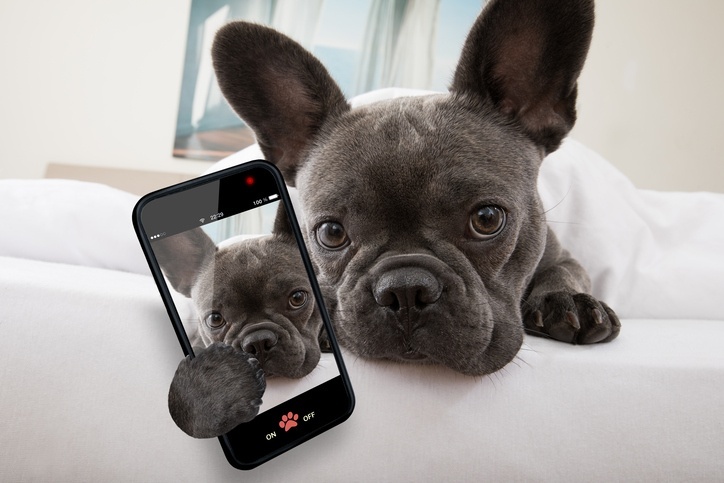 Access to the database allows animal guardians to catch small changes in an animal’s behavior that would otherwise go unnoticed while allowing veterinarians to monitor patient health remotely. According to Consultancy EY-Parthenon, 72 percent of consumers consider companion animals as family members. In particular, many Millennials, who account for 35 percent of all animal guardians in the U.S., are delaying or opting out of parenthood and choosing to share their home with companion animals. As the human-animal bond continues to grow among consumers and their companion animals, there is an increased desire for veterinarians who show understanding and support for this relationship. In February 2018, the Human Animal Bond Research Institute (HABRI) and the North American Veterinary Community (NAVC) launched the Human-Animal Bond Certification program, representing the rising demand for this approach. Available to practicing veterinarians, veterinary nurses, and veterinary practice managers, the certification covers the health benefits of human-companion animal interaction and discusses how to best incorporate this knowledge into everyday practice. U.S. consumers collectively spent $69.51 billion on companion animals in 2017 with spending estimated to reach $72.13 in 2018, according to the American Pet products Association (APPA). For veterinary care, U.S. consumers spent $17.07 billion in 2017, and will most likely spend $18.26 billion in 2018. Despite this increase, many consumers continue to struggle financially. Financial stress among consumers presents challenges for veterinary businesses to continue to raise prices. As a result, many businesses experience a decline in clients and visits when prices are raised. Focusing on providing quality care to patients, determining ways to cut operational costs, providing preventative care plans, and implementing payment plans are key strategies for today’s veterinary businesses to succeed. Continual innovation presents ample opportunities for business improvements within the veterinary industry. From incorporating the latest telemedicine technologies to offering top payment plan services to clients, informed business can provide exceptional care to patients, maintain positive relationships with consumers, retain clients, and increase sales volume. As a leading payments guarantee company, CrossCheck provides check processing services to U.S. veterinary businesses that help merchants increase sales while reducing risk. Ideal for larger payments, our Multiple Check program allows clients additional time to fund veterinary care without using or applying for credit. 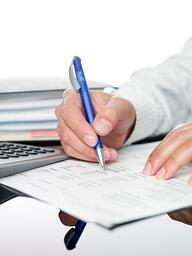 Clients write 2 – 4 check that are deposited by merchants over a 30-day period. Businesses can confidently accept checks with guaranteed funding of each deposit on all approved checks. By implementing Multiple Check, businesses can continue care for patients while improving client satisfaction. Learn more by downloading our free guide.